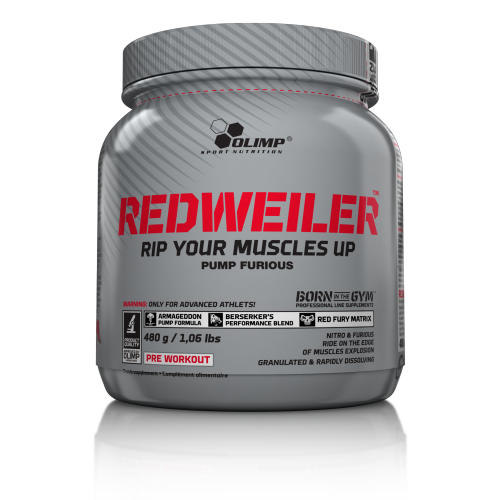 As promised here are my opinions on pre workouts in general and specifically a review on Olimp Sport Nutrition Redweiller fromPowerBody.co.uk . Thanks for sending this out for me to try Matt. So pre workouts are a staple part of my nutrition plan. When you are hitting fasted cardio, heavy weights while on a slight calorie deficit you need to get energy from wherever you can. 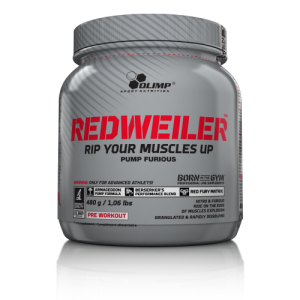 And you’ll get energy in abundance with Redweiller and other pre workouts. I’ve always had a food first approach to nutrition as many supplements on the market have limited research to back them up, or it has research which was funded by those who stand to benefit the most from a bias result. Which is then taken as gospel by the bro scientists. But two supplements there is no doubt about are Creatine and Caffeine. Two major ingredients in a pre workout. Combined with other ingredients which I will detail they will without doubt add intensity to your workout. So the question when it comes to caffeine becomes less about IF you should take it and more how much and how often. 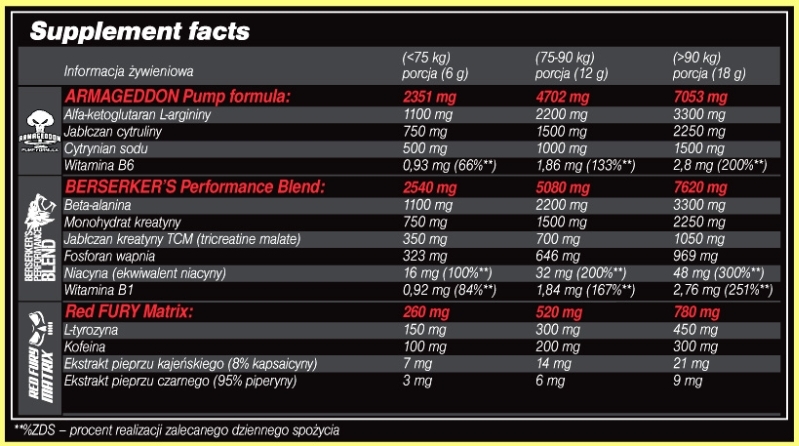 There are formulas which are used to calculate the optimum dosage for caffeine based upon bodyweight and goals. 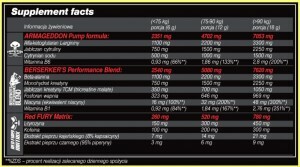 What frustrates me is that some pre workouts hide the volume of caffeine and say things like proprietary blend. 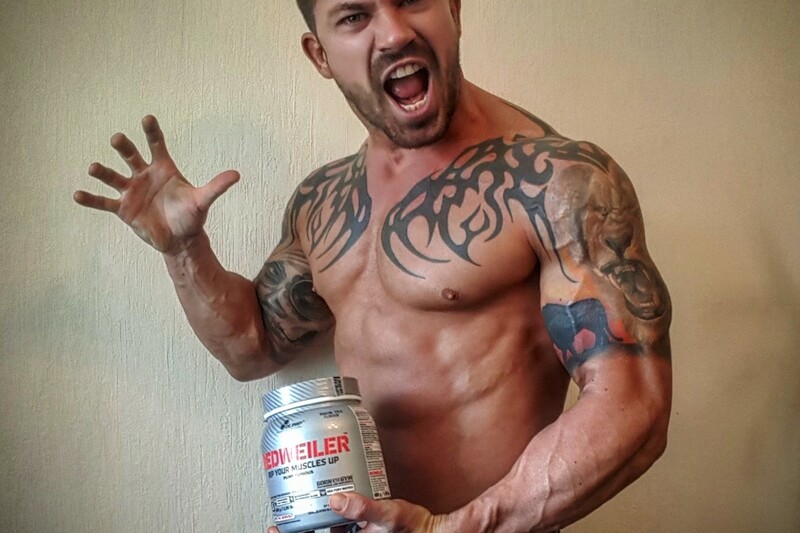 Olimp don’t just give caffeine per serving but go one step further and put a recommended dosage range by bodyweight which I think is excellent and shows their understanding and intent. No surprise though, after a day or two testing the dosage I settled on the highest dosage for my bodyweight. One thing to be aware of with caffeine is that your body will become more accustomed to any stimulant and you will need a higher and higher dosage to achieve the same level of stimulation. So if you drink lots of coffee’s or energy drinks you will need more caffeine to feel an effect. On a long term basis you can end up with adrenal fatigue. Needing caffeine on a regular basis but never really getting that burst in energy. Just a raise from the lull you feel the rest of the time without it. I’d suggest to get the best effect from caffeine you should minimise caffeine at other times and only take pre workout 3 or 4 times a week. Take a short break from caffeine if you are finding you are requiring a higher and higher dosage as time goes on. L-arginine – this converts to nitric oxide and citruline malate increases nitric oxide production. 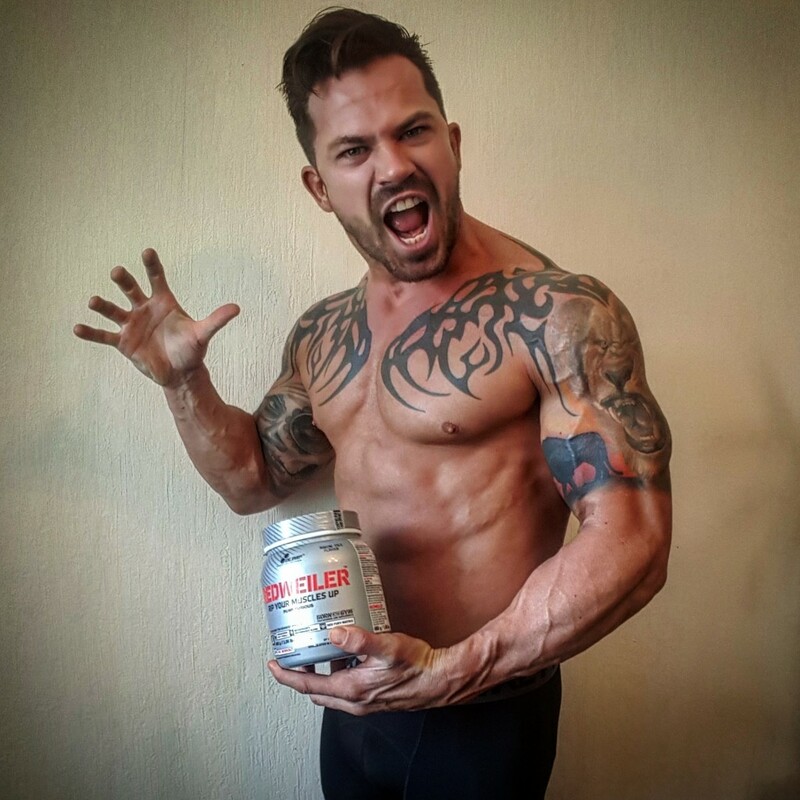 The nitric oxide then gives you that awesome pump and vascularity we need for gym selfies wink emoticon For the less vein smile emoticonamongst you.. it also reduces lactic acid levels meaning less pain. As does the cayenne pepper extract. Niacin helps convert carbs to energy but also helps with again, you guessed it a pump & vascularity. So what did this all add up to? My workouts have been great on this. I’d been taking another pre workout for a around 6 months and got to the stage where I was just coasting through then hitting a wall before I get my posing in which is the last thing you need coming up to a comp. Changing to Redweiller (combined with the fact that I’m in prep for my comps) meant that I have been smashing my workouts loving every minute of them. So all in all it’s a great pre workout and I’d recommend you give it a try.